2009 honorable mention for Architecture is conferred on a building which is adjudged as a good example of architecture. 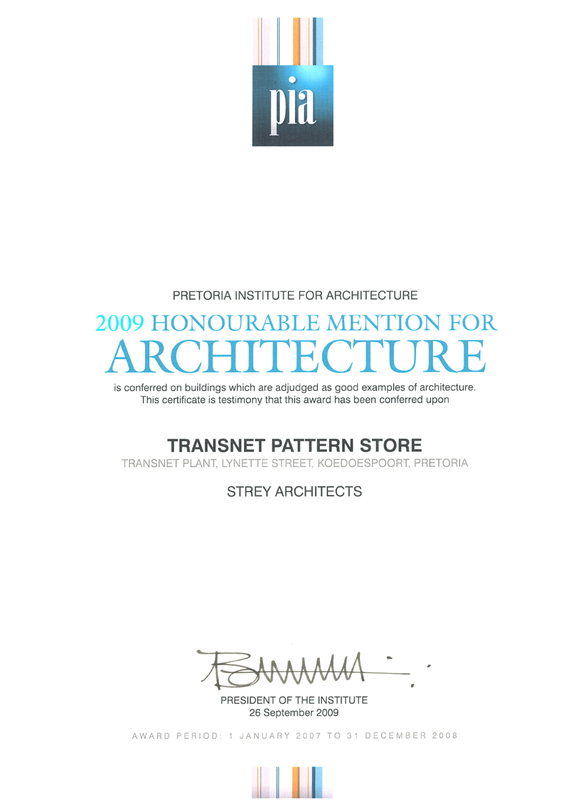 This certificate is testimony that this award has been conferred upon Pretoria Institute for Architecture to the Transnet Pattern Store. This entry was posted in Architecture Awards and tagged Architects, Award, Design, Pattern Store, Renovate, Strey Architects. Bookmark the permalink.